Utah Autism Coalition: Sign Up Now!!! We are so excited about how involved many of you have become. We've been getting quite a few emails from parents asking how they can get involved. Honestly, it's not enough though. We really need to get the word out about this legislation and our need for parent support. If you have already signed up to help, THANK YOU! You can take the next step by recruiting your family, friends, neighbors, teachers, therapist, and doctors to sign up to help too. Please call these people and ask them to sign up. If you haven't sent us an email volunteering to help, please do that right now! Send us an email at UTautismcoalition@gmail.com. Then call your friends and family too! We need to find at least 5 people in every legislative district before we can move forward with this campaign. 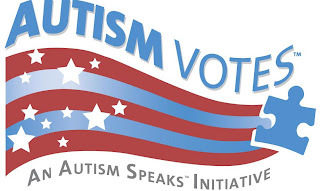 Lastly, make sure you have signed up for email alerts through Autismvotes.org. They are part of the Autism Speaks organization. They are working very closely with us on this legislation. They are also working on federal legislation too. So please sign up with them to keep up on legislative action going on around the country. Thank you again for all the support. We won't be able to get this bill passed without support from all of you. Senator Howard Stephenson is Our Man!! !